The Next several articles will deal with receiving a fresh move of God in our lives today. 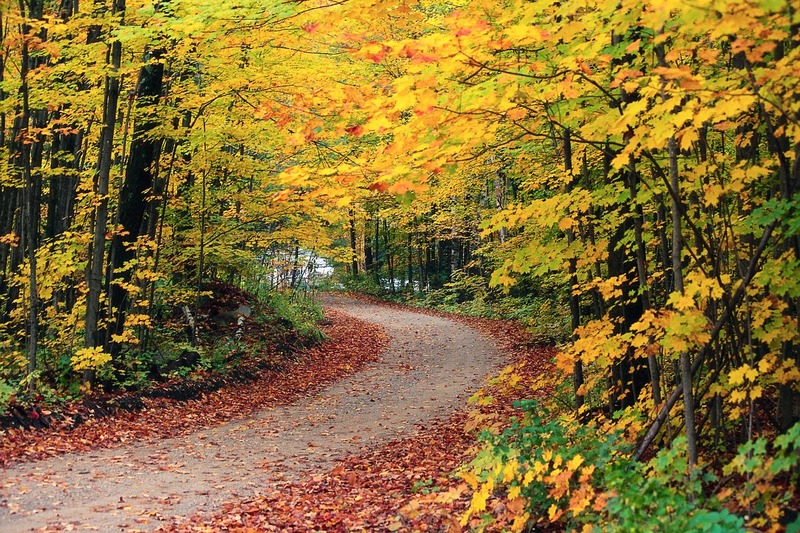 The beginning article by Jack Hayford will lay the groundwork for my articles which follow. "The Holy Spirit at Work. The power of the Holy Spirit through the church is the most striking feature in Acts. The book has even been called The Acts of the Holy Spirit. The work of the Spirit in Acts, however, cannot be understood without seeing the relationship between Acts and the Gospels, which demonstrates an essential continuity. Both the public ministry of Jesus in the Gospels and the public ministry of the church in Acts begin with a life-changing encounter with the Spirit; both are essential accounts of the results of that event. The power of the Spirit in Jesus’ life authorized Him to preach the kingdom of God and to demonstrate kingdom power by healing the sick, casting out demons, and setting the captives free (Luke 4:14–19; Matt. 4:23). The same Spirit power in Acts 2 gave the same authority to the disciples. Jesus is the prototype of the Spirit-filled, Spirit-empowered life (10:38). The Book of Acts is the story of the disciples receiving what Jesus received in order to do what Jesus did. Luke’s terminology in describing people’s experience with the Holy Spirit in Acts is fluid. He is more interested in conveying a relational dynamic than in delineating a precisely worded theology. He notes that people were “filled with the Holy Spirit” (2:4; 9:17), that “they received the Holy Spirit” (8:17), that “the Holy Spirit fell upon (them)” (10:44), that “the Holy Spirit had been poured out on (them)” (10:45), and that “the Holy Spirit came upon them” (Acts 19:6). These are all then essential equivalents of Jesus’ promise that the church would “be baptized with the Holy Spirit” (1:5; see especially its immediate fulfillment in 2:4, which Luke describes as a filling). Three of these five instances record specific special manifestations of the Spirit in which the people themselves participated. Those on the Day of Pentecost and the Gentiles of Cornelius’s house spoke with other tongues (2:4; 10:46); the Ephesians “spoke with tongues and prophesied” (19:6). Although it is not specified, it is generally agreed that there was also some type of manifestation in which the Samaritans participated because Luke says that “when Simon saw that ... the Holy Spirit was given” (8:18). The Book of Acts provides five accounts of people receiving the fullness or infilling or baptism in the Holy Spirit (Acts 2:4; 8:14–25; 9:17–20; 10:44–48; 19:1–7). In these accounts five factors are manifest: 1) There was an overwhelming in-breaking of God’s presence experienced by all who were present. 2) There was an evident transformation in the lives and witness of the disciples who were filled. 3) That which was experienced became the impetus for the growth of the church, as "daily in the temple, and in every house, they did not cease teaching and preaching Jesus as the Christ" (Acts 5:42). 4) The immediate evidence in three of the five accounts was glossolalia: For they heard them speak with tongues and magnify God" (Acts 10:46). [Glossolalia is a coined term derived from the Greek glossa ("tongue") and laleo ("to speak").] 5) The ultimate purpose of this experience was empowered witnessing (Acts 1:8) and a deeper dimension of Christian commitment for the achievement of happiness (Eph. 5:19), gratitude (Eph. 5:20), humility (Eph. 5:21), and fruitfulness (Gal. 5:22, 23). 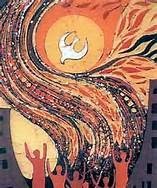 Together, the above facts demonstrate what the present Pentecostal/Charismatic renewal is experiencing through the Holy Spirit at work in the church. The problem is that too frequently the elements of this renewal are misunderstood or misapplied for lack of a biblical understanding of "tongues" and the function of the Gifts of the Spirit. Although there are varying theological and ethical viewpoints among some in the Neo–Pentecostal/Charismatic movement, a common bond of unity in the Spirit-filled renewal is the practice of "speaking with tongues" in prayer and worship, together with an acceptance and welcoming of the operation of the Holy Spirit’s gifts in their midst. Thus, to fully understand this phenomenon, it is necessary to see the Pentecostal/Charismatic view as they have learned to implement the Book of Acts’ manifestations of the Holy Spirit’s power–workings, applying the controls taught in 1 Corinthians 12—14." Jack W. Hayford, general editor; consulting editors, Sam Middlebrook…[et.al. ], Spirit filled life study Bible [computer file], electronic ed., Logos Library System, (Nashville: Thomas Nelson) 1997, c1991. Today are you seeking God before each encounter or step in His plans for you? Do you know His strategy and timing for each encounter? Today we are overwhelmed by what everyone is telling us the Lord is saying or doing. There is no shortage of books, conferences or web-cast. God however, has another way for He desires to have an ongoing encounter with us to give us His specific strategy and timing for the assignments He has for us. Joshua and the people of Israel were victorious in battle when they sought God's direction and strategy before every encounter or battle. Josh 5:13-15 highlights Joshua’s encounter with the Commander of the Lord’s army. Joshua’s question “What does my lord say to his servant?” is what we need to know more than anything else. When you examine the pattern set out for Israel you will see consecration, humility, and encounter with God, then obedience to His plan are the steps to victory. Without these Israel was defeated at AI, entered into covenant alliances that were not of God and failed to take all of the land before Joshua’s death. God has the plan, power, provision and alliances which when initiated in His timing will bring forth the results that He desires. While living our Earthly life we are citizens of the nation in which we live and citizens of the Kingdom of God/heaven. In light of this our lives must demonstrate our heavenly citizenship to those around us while we seek to be good citizens of our earthly nation or kingdom. There was a song in the 70’s, which ask the question, “If you were arrested for being a Christian would there be enough evidence to prove you are a Christian?” Are you Christ-Like while being Christian? I have noticed that sometimes we as Christians act and speak like unsaved people. We can be critical, snarky and almost hateful toward those who are different than us in race, philosophy and religion. Even within Christianity people who attend one type of church are sometimes disdainful of those who attend another type of Church. Scripture tells us to workout our salvation with fear and trembling before God Philippians 2:12. Now we know that we are saved by God’s grace or unmerited favor, but this scripture points out that we must with serious diligence not take God’s gift of salvation carelessly. His grace may be free to us but it cost God more than we could ever repay. His love is amazing but ours is very flawed. I am a Bible believing Christian who has studied to show myself approved by God, but I have not arrived at perfection. I consider myself as maturing but do things that show I am not where I could be. I have found that my earthly attitude sometimes over rules my belief or at least the practice of my belief is lacking perfection. 1. We can be gracious without approving of sinful behavior. 2. We do not need to overlook or ignore obvious Biblical teaching in the process of being Christ-like. 3. We must not ignore one part of Jesus teaching while focusing on any other part. 4. Jesus harshest words were for the self-righteous religious or political leaders who proclaimed and pretended to be good and helping the people while protecting their own positions and power. 5. These were not simply arguments over philosophy leadership or different approaches to doing God’s will. Jesus was a citizen of dual kingdoms, heaven and Israel, which was under Roman rule. 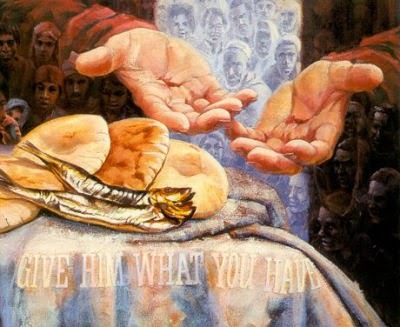 We are told to give unto God what is His and unto our rulers what is required. Jesus was compassionate toward sinners. He ate with them and presented the truth of God’s kingdom in His teachings. What makes Kings and leaders unjust is addressed in both the Old and New Testament and while important is not the focus of this article. We in America live in a nation where we can choose our leaders. Just as God allowed Israel to have a King like the other nations, God allows us to choose our leader no matter what her or his religion, character, philosophy or political understanding. Our system is not perfect but as those following Christ we have the freedom to offer people the Good News of the Gospel without fear of being jailed no matter which political party we support. We must diligently, passionately be doing our Father’s work on the earth. Resources spent on Social Justice or Political change without our focus being on the transferring of people from the Kingdom of darkness into the Kingdom of God are a waste of resources. We must be compassionate toward those in need, as well as, proclaim the Gospel or good news of the Kingdom of God, buildup believers and seek to bring ourselves into maturity/perfection according to the Bible’s teachings. Let’s not get distracted by things that take us away from our primary purpose in the process of living as citizens of two Kingdoms! What is that primary purpose? It is doing all that Jesus began to do and teach. 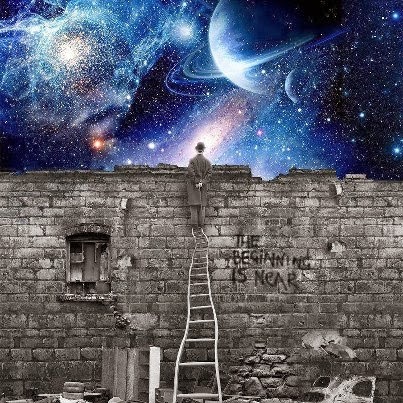 Hebrews 11:10 for he was looking for the city which has foundations, whose architect and builder is God. 8By faith Abraham obeyed when he was called to go out to a place that he was to receive as an inheritance. And he went out, not knowing where he was going. 9By faith he went to live in the land of promise, as in a foreign land, living in tents with Isaac and Jacob, heirs with him of the same promise. 10For he was looking forward to the city that has foundations, whose designer and builder is God. This book is a valuable demonstration of Dr. Harrison’s statement. Building on the foundation of the authority of God’s Word Dr. Harvey wisely explains and then uses the elements of exegesis, which are then demonstrated by useable examples. I was delighted with his section, “The Great Transfer” in the chapter on the Theology of Paul’s letters. The transfer from the Sphere of Adam to that of ‘in Christ’ is the best I have seen in detailing what is meant and how it is realized starting with 2 Corinthians 5:17 and Colossians 1:13-14 and then throughout Paul’s letters. As a semi-retired NT Greek, Hermeneutics and Homiletics teacher I highly recommend this excellent work to anyone seeking to understand and make the meat of the Word available to all who follow or seek Jesus the Messiah. I received a copy of this book from Kregel Academic for an honest review. 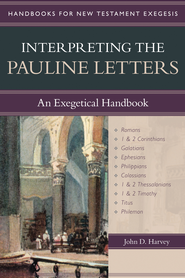 The inaugural volume in the Handbooks for New Testament Exegesis series, Interpreting the Pauline Letters begins by exploring the components of narrative--setting, characterization, and plot--and then develops the foremost theological themes in each of the books traditionally ascribed to Paul. The method sets the task of exegesis within the literary context of first-century letters as well as the theological context of major themes present in Paul's letters. The book goes beyond exegesis to discuss strategies for communicating the central truthesof Paul's first-century messages to a twenty-first-century audience. Each chapter includes a list of helpful resources to the step of interpretation discussed. A glossary defining technical words and samples of moving from exegesis to proclamation make this guide practical and user-friendly. Designed as a handbook for seminary and graduate students, the book provides a go-to guide that will also serve seminary-trained pastors, upper-level college students, and well-motivated lay people. As readers work through this handbook, they will begin to see and interpret the narrative writings as Paul intended them to be understood. I weary when Christian leaders are so busy being critical of others in God's household. A Critical attitude toward others who serve Christ is directly rebuked in the Bible. If we are busy proclaiming truth and living a life that pleases God we will have very Little time to do other things and worry about what others are teaching. One of the latest example is John MacArthur in His book 'Strange Fire'. I have no doubt that a good and sincere teacher can write a book whose PR says the following. "In ancient Israel there lived two priests who approached God without the reverence He deserves. They disregarded God’s instructions and burned incense in His Tabernacle with “strange fire . . . which He had not commanded them. And fire came out from the presence of the Lord and consumed them, and they died before the Lord” (Lev. 10:2). Scripture calls us to worship the Lord in the beauty of holiness. Anything unholy — including false prophecy, phony miracles, religious hypocrisy, self-willed worship, or anything else of the sort — is a kind of “strange fire,” deserving of the most severe judgment. That is why pastor-teacher John MacArthur has written this treatise on a movement whose foundation and direction have betrayed the God they claim to represent. Laced with historical research, biblical support, and quotes from scholars across the spectrum, Strange Fire is a rigorous evaluation of the fastest growing segment of the American Christian church. And it is an important warning . . . • For those who want the church to be more inclusive, • For those on the lookout for miracles today, • For those who think “charismatic” refers more to worship style than substance, • For those who don’t understand why celebrity preachers are constantly falling from grace, • For those who believe religious experience is more important than biblical fact, • For those who don’t want to “limit God” or “put Him in a box.” Strange Fire is powerful, disturbing, and imminently necessary." What really irks me is how much attention this book brings and how it divides the Kingdom of God when He could use the time and resources to expand the Kingdom instead of bring division and an opportunity for the World to not see what Jesus wants which is that we love one another as followers of Jesus our Saviour and Lord. God's grace toward us is needed when we deal with others who serve God differently than the way we understand. We have not run out of sinners who need the good news so let us stop wasting God's time and resources on these fruitless attacks. We will start a new Bible Study on March 1st on 1 Peter using our Bibles and Teachings from First Peter by A W Tozer. Many modern Christians are familiar with the name, and perhaps even some of the writings of, A. W. Tozer, but few living today were blessed to sit under his weekly teaching from the pulpit. 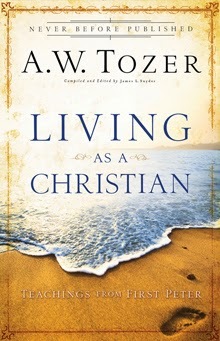 In this never-before published collection of teachings on 1 Peter, adapted from sermons given to his parishioners, Tozer examines what it means to call oneself a Christian. In his view, to be a recipient of God's salvation is to become "the pride of all heaven," indestructible and able to withstand anything and everything that seeks to undermine one's faith. The epistle of 1 Peter was written to a group of just such Christians, to encourage them to live in the center of God's redeeming love. Through Tozer's incomparable teaching and commentary, this ancient letter becomes a fresh and life-infusing admonition for today's Christian! A.W. Tozer embarked upon a lifelong pursuit of God at the age of 17 after hearing a street preacher in Akron, Ohio. He was a self-taught pastor, writer and editor whose powerful messages continue to grip the hearts and stir the souls of today's believers. you are not going to have more than you receive from God. say, “God, whatever You want me to have, that’s what I want. that you received from heaven and from God.